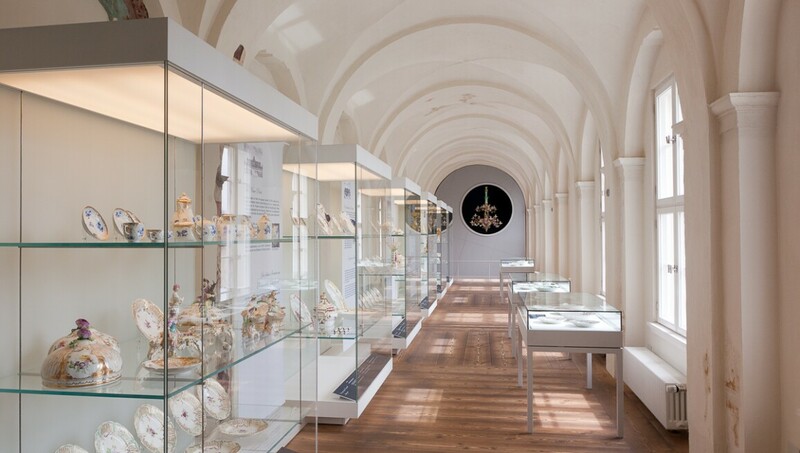 Situated on the banks of the beautiful river Dahme, the Baroque palace of Köpenick houses treasures from the Kunstgewerbemuseum (Museum of Decorative Arts), complementing the museum's main exhibition space at the Kulturforum. The palace complex, never fully completed, is located on a manmade island on the outskirts of the old town centre of Köpenick. The main building was constructed between 1677 and 1690 on the site of an earlier hunting palace of the Brandenburg electors. The building includes a historical gateway, a chapel and an old utilities building that today houses storage rooms, a conservation studio and a café. Schloss Köpenick (Köpenick Palace) has been used as an exhibition space by the Kunstgewerbemuseum since 1963. Before the reunification of Germany, artworks located in the east of Berlin were put on display here. Spread across three floors, the museum presents outstanding masterworks in interior design from the 16th to 18th centuries.